Private Austin Riley Kellett, 18, from Simpsonville, South Carolina graduated from United States Marine Corps boot camp at Marine Corps Recruit Depot Parris Island on September 7, 2018. Private Kellett successfully completed 13 weeks of intensive basic training at MCRD Parris Island as one of 96 recruits in Training Platoon 3064. While in recruit training Private Kellett achieved Sharpshooter status on the rifle range. Following an extensive leave to due Hurricane Florence he has reported to Camp LeJeune for one month at Military Combat Training followed by Military Occupation Specialty school. 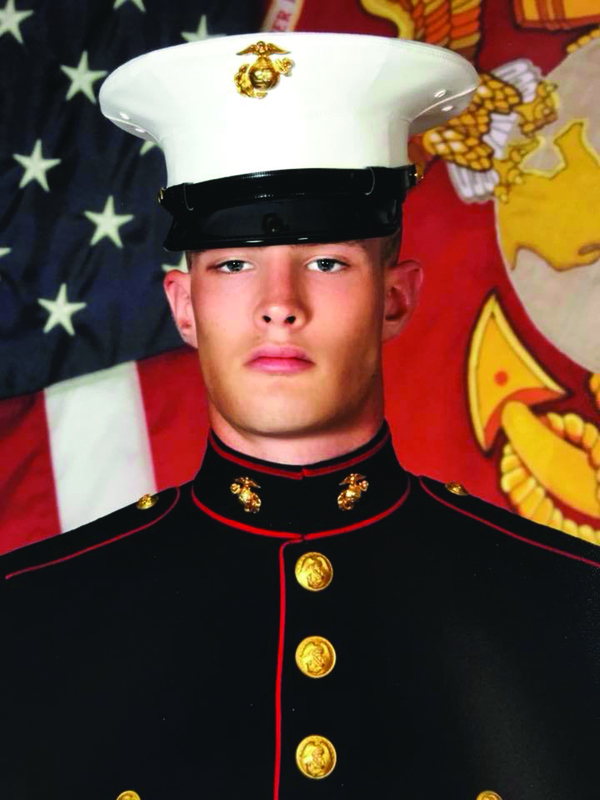 Private Kellett is a 2018 graduate of Hillcrest High School and a two time letterman on the Hillcrest Wrestling Team.